Don’t know what we’re talking about? Clouds. 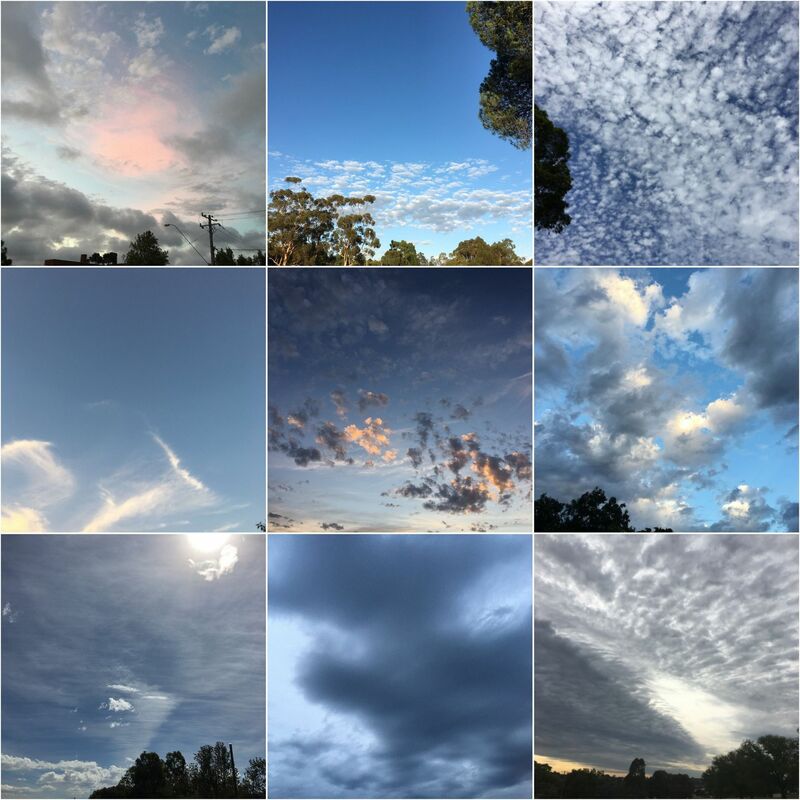 Edward and I have turned cloud-spotting into a competitive sport, all with the aid of the marvelously addictive Cloudspotter app. Think apps, and kids hunched over devices, hardly moving from the couch, is what comes to mind. However, there are plenty of extremely good apps that encourage kids (and adults) to get off the couch and out into the fresh air. So, apart from Cloudspotter, what else should you look out for? Nature lovers can spend the holidays spotting new things with the comprehensive Field Guide to Victorian Fauna (it lists over 700 species of fauna found in Victoria including mammals, reptiles and spiders) or OzAtlas, a ‘living atlas’ that pulls together information about Australian flora, fauna and fungi from museums, CSIRO and government records. There’s also the more specific Frogs Field Guide which includes recordings of Australian frog calls and a guide to which species can be found near you and Trust Trees, which identifies Victoria’s significant and heritage-listed trees (are there any in Kew? Get the app to find out). Of course, you’ll want to keep a record of your findings – the Sightings app is handy. If you are keen to share your field work, Project Noah is for you. It’s a ‘citizen science tool’ that includes a field guide for your location and tools for recording and sharing your wildlife sightings with other backyard biologists around the world. Look up to the night sky – apps and astronomy are a perfect match. There are dozens available but we’ve had the most success with The Night Sky and Star Walk. For a nature treasure hunt, younger kids will enjoy Plum’s Photo Hunt. Use your device to complete photo missions, which include everything from collecting evidence of changing seasons to insects, rocks and patterns in nature. Kids can add characters to their pictures, and there’s the option of posting results on the PBS Kids Plum Landing website. Go further afield with Geocaching, essentially a treasure-hunt using landmarks and GPS to locate the caches. It’s great fun and there are caches all over the world – note, it is a little addictive! Lastly, for good old-fashioned playground fun, the Playground Finder app uses your phone’s GPS to locate nearby playgrounds – it’s particularly good if you have to find one in a hurry (and we all know that sometimes six-year-olds have an urgent need for a swing). Most of these apps I’ve listed here are free. As always, the privacy settings for individual apps should be checked carefully, as should the ‘sharing’ options within each app. This entry was posted in Students, Technology and tagged holidays, iPads, science by Kate W. Bookmark the permalink.